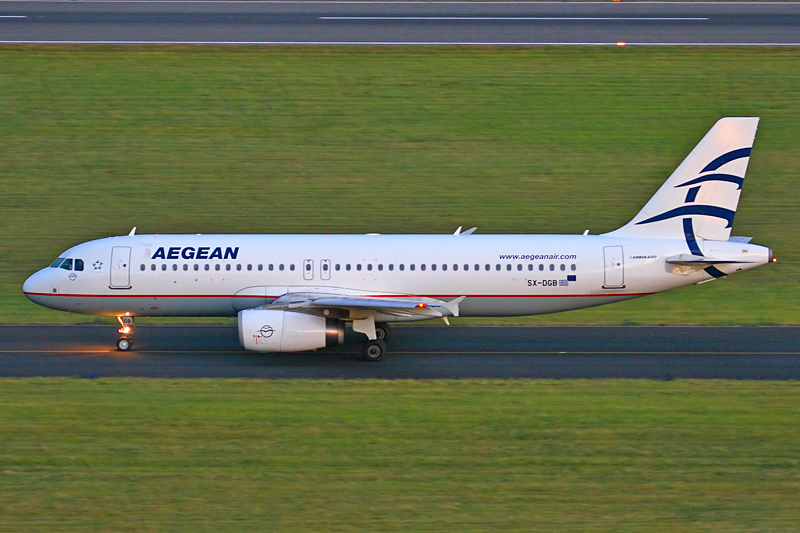 What was potentially the most lucrative rotation of our summer charter programme, the Tuesday evening Aegean Airlines Heraklion series which began this evening, had rather sadly become a planned Air Baltic Boeing 757 operation a couple of months ago. 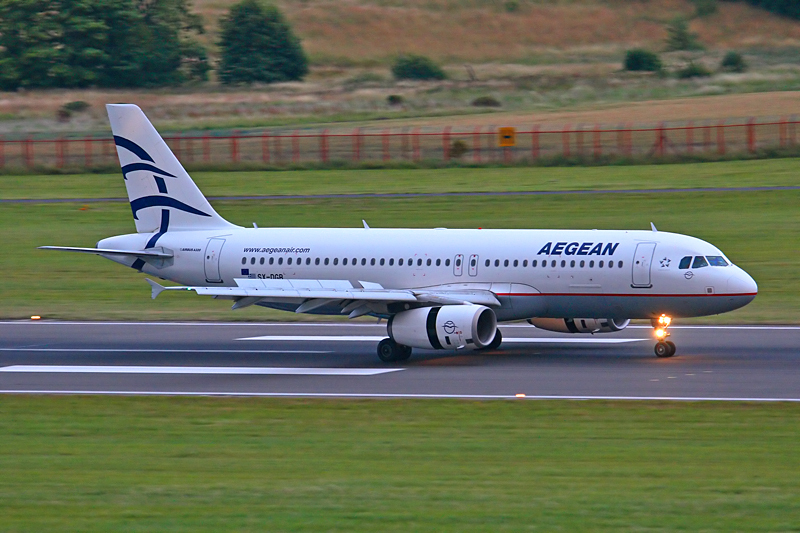 A further change on the eve of the series' start however, means that members of the substantial Aegean A.320 fleet will indeed appear here after all, currently planned for the first two rotations, and again for the last two flights in early October. SX-DGB is seen here arriving and taxying out on the first rotation earlier this evening.